The travelers undertaking safaris to Rwanda can now ably chose from a range of tour companies to organize their preferred Rwanda safaris including gorilla trekking safaris and wildlife safaris in Rwanda. The new firm of Botswana origin has been spanning in the tourism industry for the last 30 years and has functioned in a range of national destinations on the continent of Africa. The Wilderness Safaris declared its exploration to the Rwandan market in the course of this week where it will invest in two lodges that will also serve as projects for conservation. And like in many other areas where this firm has extended operations, the aim is linked to conservation and improving the livelihoods of the local people. 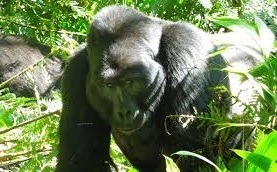 For Rwanda, this would mean increased benefits from the travelers undertaking safaris and tours in Rwanda. Apparently the plan to set up a one of the two proposed lodges is complete and the arrangements for the second one are undergoing and these two facilities are meant to commence operations in the coming year. This would by all means increase the number of bed capacity in Rwanda thus providing adequate accommodation for travelers on a safari in Rwanda. One of the lodges is called Bisate and is located close to Volcanoes National Park in the district of Musaze where gorilla trekking safaris in Rwanda are carried out. The facility will also implement the conservation and community development initiatives with it first project being the re-afforestation of 64acre site. This project will be implemented in collaboration with the 320 member newly established Tuzamurana Cooperative. This foreign direct investment has been attracted by favorable investment climate presented by welcoming people, government and the thriving Eco-tourism industry.